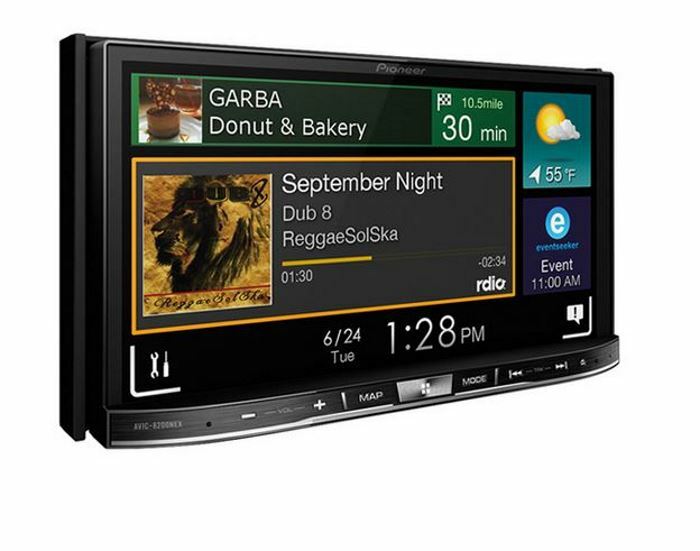 Are you looking for the best double DIN head unit under 200 dollars? 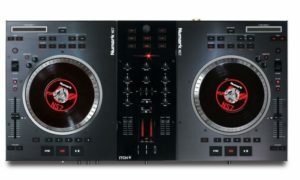 Then the Pioneer models reviewed here are far above your budget. Now let’s have a look at a few popular models. The iPod hype has given people lots of opportunities to have their music and media with them in such a compact device. Pioneer AVH-4201NEX In-Dash DVD Multimedia AV Receiver aims to do the same for you. It has lots of features that an ordinary player lacks. This AV receiver is a great high-tech A/V device that you can add to your dashboard. The brand develops in-car products that intend to deliver exceptional audio and video quality for your music and videos, connectivity features and a user-friendly interface. If you are on your way to work or going out to the country in your car, keep boredom away by playing your playlists or some videos you have stored on your drives or SD cards. Your DVD Player – Pioneer 4201NEX sports a DVD player with complete features. You can put a stash of movie discs in your car so you can play them while you are on the road. It will play DVDs, DVD-Rs, Video CDs and DivX files. You can also use a USB drive or plug-in game analogs in the A/V input at the back. It also plays MP3/WMA/AAC files that you have on your USB. Built-in Bluetooth – Make connectivity easier with the 4201NEX’s built-in Bluetooth. When you have a Bluetooth-enabled cell phone, it will be easy to connect to the AV receiver. Then you can access your contacts and call or receive calls from the AVH-4201NEX without the use of headsets. Supertuner IIID AM/FM Tuner – Tuning in to your favorite local AM/FM stations will be relatively effortless. You will receive clear signals with the help of the Supertuner IIID in your Pioneer AVH 4201NEX. 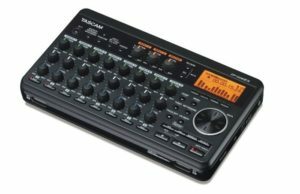 It has 18 Fm, and 6 AM tuner presets so you can easily keep in touch with your local information and news. Advanced Sound Retriever – This technology by Pioneer gives you crystal clear audio from your thumb drives or portable music players. It reproduces your audio up to 20 kHz frequencies and retrieves the quality of the sound that gets lost while you were compressing the files. 7-inch Display Screen – So you can clearly see what AVH-4201NEX is up to, its screen is 5.8 inches and you can control it easily by the touch-screen function. The resolution of its TFT LCD screen display is 1440 x 240p! That’s gonna give you vibrant colors and fine details. 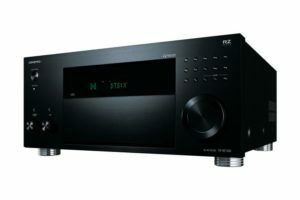 There are more amazing features that this AV receiver has, and you just gotta find out for yourself how great it really works. The USB port and SD card slot are all in front for your convenience. Admittedly, this is a great way to stay connected and have your files at the tip of your fingertips. 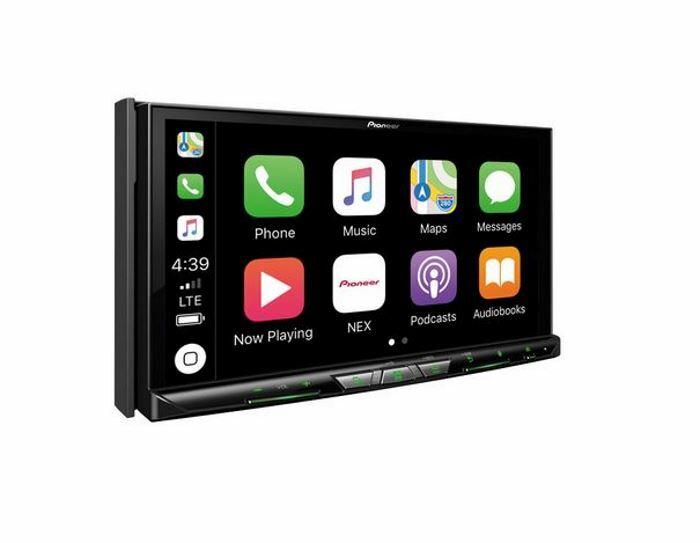 Pioneer AVIC-W8400NEX is the new navigation receiver that will help take you where you are planning to go – be it in the United States, Alaska, Hawaii, Canada or Puerto Rico. You will be able to get there fast thanks to its spoken street names and many other fantastic GPS features. Pioneer AVIC-W8400NEX Navi unit features lane guidance so that you can go to the right lane particularly when you are heading towards busy intersections. It also has an intelligent re-routing option which comes in handy when should you get lost. You can enjoy 2D or 3D terrain picture as well with landmarks included. Pioneer ND-TMC10 traffic tuner is included with the unit which allows you to check real-time traffic. Because of this, you will be able to avoid getting stuck in it, and it will also provide you with alternate routes that you can take instead. Pioneer Navigation AV Receiver has also been designed to be eco-friendly. You will be able to track your carbon footprint and pocketbook through amazing features like the ECO Graphs. This function enables you to estimate your fuel mileage and compare it with your average mileage before. The results will be displayed in graph form. The AVIC W8400NEX unit also has a built-in Bluetooth. This is an excellent feature as you will be able to safely and efficiently call and receive with most Bluetooth enables mobile phones hands-free. You simply have to touch the mobile phone icon to access the Bluetooth display. When the Bluetooth connection has been established, some icons will light up. It does not take long to do the device pairing. You will be able to control the features through voice commands thanks to the built-in voice recognition engine. Other features that you will be able to control simply by speaking include searching for addresses, dialing phone numbers and searching for iPod content. You can easily connect your iPod or iPhone to the receiver. The unit also has a new feature which allows you to search for points of interest, save locations and send them to the device by routing through your iPhone. These have been made possible because of the AVIC FEEDS navigation for iPhone which is a free app. If you are a fan of the internet music service Pandora, you will definitely like the new Pandora Ready feature. The W8400NEX will be able to give you control of Pandora through your iPhone. This is done by launching the internet music service on your smartphone, and you will be able to navigate it. This allows you to do many things like checking traffic conditions and listening to updates from your Facebook and Twitter. What are other alternatives to AVIC-W8400NEX ? Two other units people consider when shopping for a navigation AV receiver are Pioneer AVIC-8201NEX and AVH-7201NEX. You can find more information about them if you click on the link below. 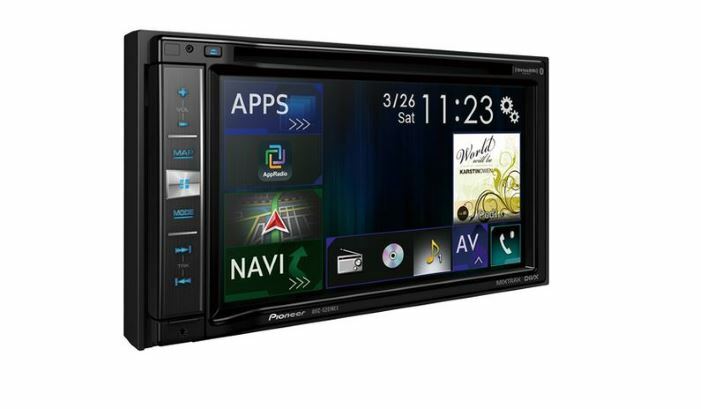 Pioneer AVIC-5201NEX 6.2” In-Dash Navigation AV Receiver contains maps of the US, Alaska, Hawaii, Canada, and Puerto Rico. If you are in these places, you will not get lost as long as you have the Pioneer AVIC-5201NEX. It has a lot of GPS features built in, including lane guidance which will help get you in the right lane should there be busy intersections on the way. This feature also provides intelligent re-routing which is useful should you get lost. Pioneer Navi AV Receiver also features text-to-speech directions with spoken street names. Pioneer now provides their customers with AVIC FEEDS navigation for the iPhone which comes in the form of a free app. The feature will allow you to look for points of interests and save on your iPhone the locations before sending it to the receiver for automatic routing. If you want to use your device safely with free-hands calling, you should look no further than the Pioneer AVIC5201NEX. With it, you will be able to make and receive calls hands-free when you connect it to a Bluetooth wireless-enabled mobile phone. One of the most noticeable options that the AVICX930BT has is its Pandora integration. This is a great function to have particularly to the fans of the said internet music service. Pioneer has a Pandora Ready feature which means that you will be able to navigate it through your iPhone. You simply have to launch Pandora in your iPhone that has been connected to the receiver. While you’re at it, you may also want to consider downloading the Aha Radio Mobile App which will provide you with personalized radio. This will also allow you to check the traffic conditions, listen to updates on your Facebook and Twitter accounts and enjoy podcasts as well. If you are environment-friendly, you should not hesitate to try using this AV navigation receiver. It has functions that will keep track of your carbon footprint. It also has a pocketbook that has unique features including the ECO Graphs function. This estimates your fuel mileage and compares it to the average mileage that you get before. The results will be shown in graph form. If you add Pioneer’s ND-TMC10 traffic tuner to your in-dash navigation receiver, you will be able to check real-time traffic so that you can prevent getting stuck in it. This feature will also provide you with an alternate route so that you can reach the place you’re heading to in time. Keep in mind that unlike in AVIC-Z130BT, this feature requires adding equipment you should purchase separately. It has a dual-zone audio/video feature. This means that the rear seat passenger will be able to enjoy their favorite DVD or CD content through the additional rear screens and headphones as the front passenger operates navigation or listens to other music at the same time. 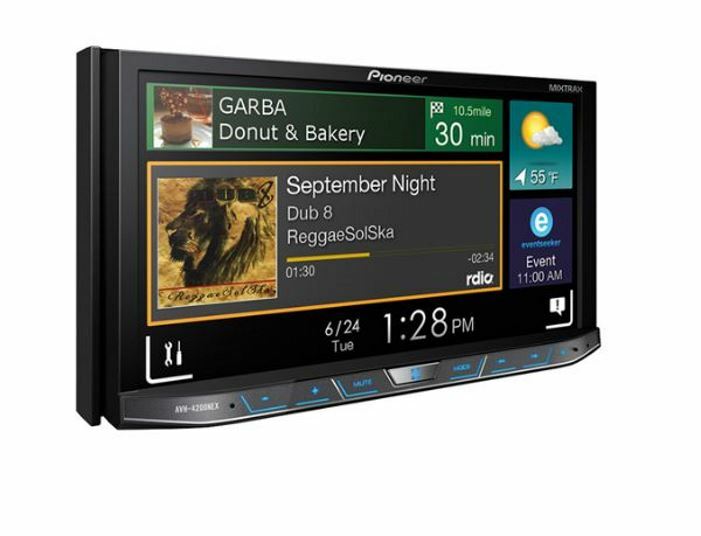 Pioneer 5201NEX has a seven-band graphic equalizer which allows you to customize the equalization levels in your car. It also features MOSFET amplification and offers three 2V RCA preamp output.